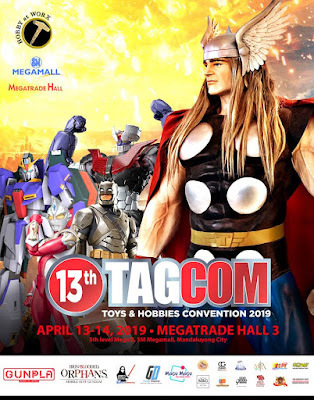 The 13th TAGCOM (Toys & Hobbies Convention) happens on April 13 and 14, 2019 at SM Megatrade Hall 3. This event is a two-day festivity of collectors and toy enthusiasts. Over 60 booths of toy sellers and retailers from all over the Metro will be present. An array of toys and collectibles that will surely be enjoyed by hobbyists, collectors and casual goers alike.